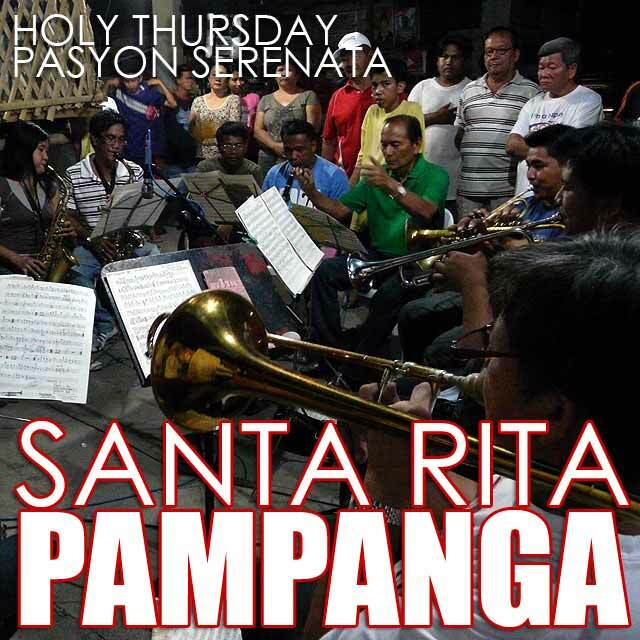 I got to witness both the Holy Thursday and Good Friday Pasyon Serenata in San Basilio. It's really heartening to see the local community work hard to raise funds to continue this Holy Week tradition. Bringing the bands over to put on a good show, some coming from as far as Sasmuan, is not cheap. And you have to give it to the people of San Basilio for staging this annually. The marching bands play both Filipino kundimans and international band classics. The group of ladies sing the Kapampangan pabasa to the tune of the band. It was quite amusing hearing Kapampangan verses sung along with music from the Sound of Music. But I really liked the Filipino classics which they played. 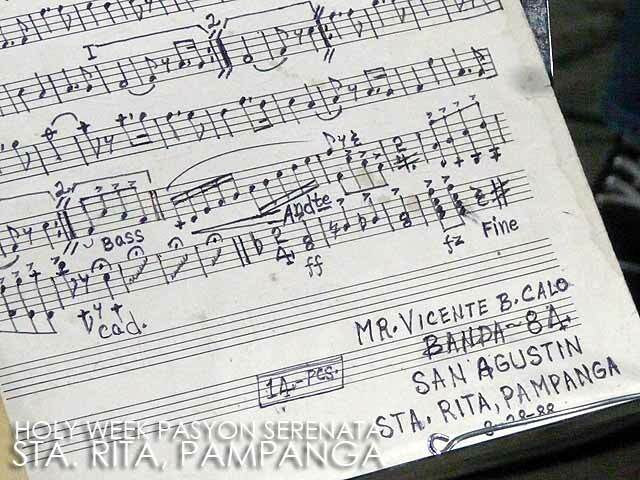 Each band plays two songs at each turn, one with the pabasa singers and another featuring a brass soloist before turning over the floor to the other band. This goes on until midnight. So after watching the grand and traditional Good Friday processions in Pampanga, you might want to head over to Brgy. 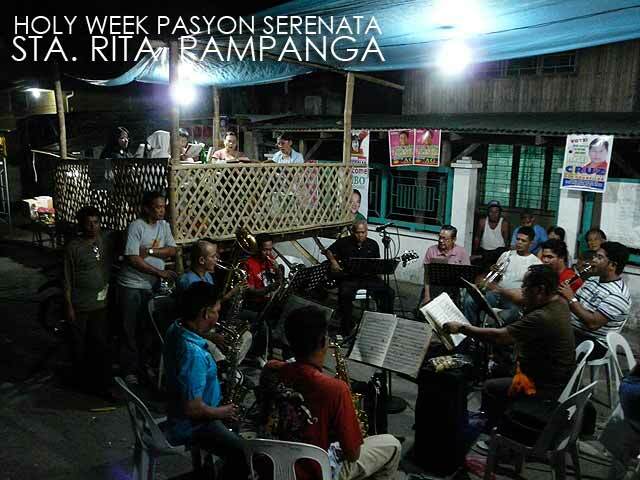 San Basilio to enjoy the performances of Pampanga's best marching bands at the Pasyon Serenata. 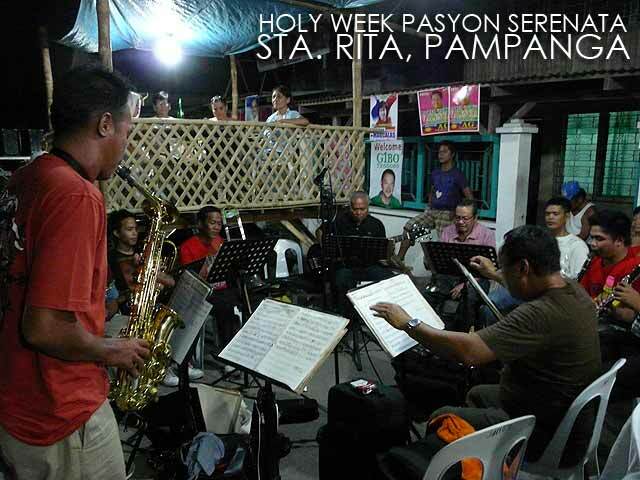 may contact number kaba nila, balak naming kunin ang service nila ngayong darating na holyweek sa barangay namin..